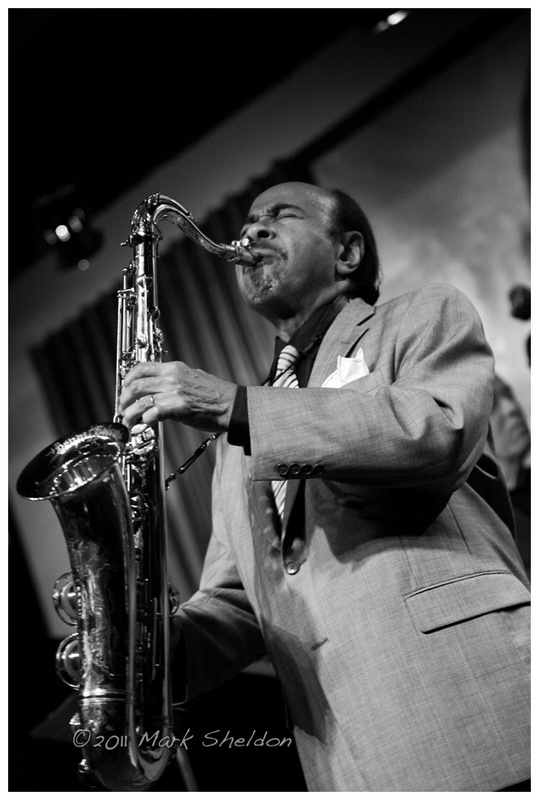 A standing room only crowd was in attendance at Joe and Wayne Segal’s Jazz Showcase to see a great performance by the legendary musician, writer, composer and story-teller Benny Golson. At 80+ years old, Benny can still still bring it better than some half his age. As with most of his performances over the past several years, Benny stuck to the many standards he composed including “I Remember Clifford, Stablemates and Along Came Betty, among a few others. As usual, Benny shared stories of how these tunes came about. In addition to Benny on tenor, the rest of the band was comprised of pianist Michael Kocur, bassist Larry Gray and Dana Hall. You are currently browsing the No Room For Squares blog archives for December, 2011.